Sterimatic Refill Pack for use with all syringe packs. 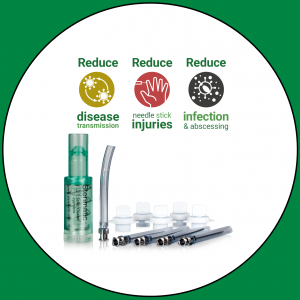 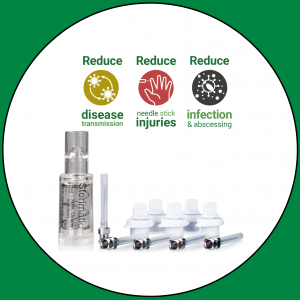 Multi-dose Syringe, Needle Protector and Cleaning System. 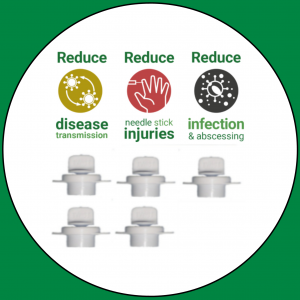 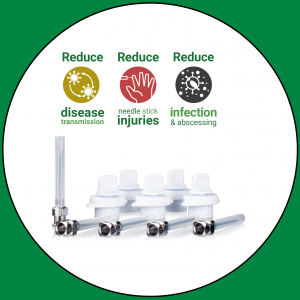 The Sterimatic system consists of a safety sleeve and Stericap which attach onto many standard multi-dose syringes.